Natural resin collected from a black pine tree. Apply it to the right-hand weapon to cover it in fire. 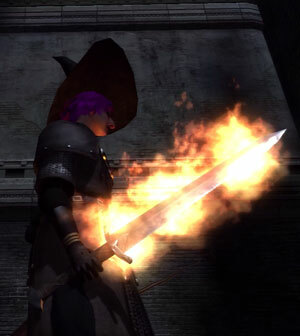 The flame is much stronger compared to regular turpentine, though it does not last as long. Cannot be applied to wooden weapons. When used on a right hand weapon1, deals 150 extra fire damage for 30 seconds.